This T-34 probably belonged 128 Pz.Jg.Abt 23 Pz.Div. 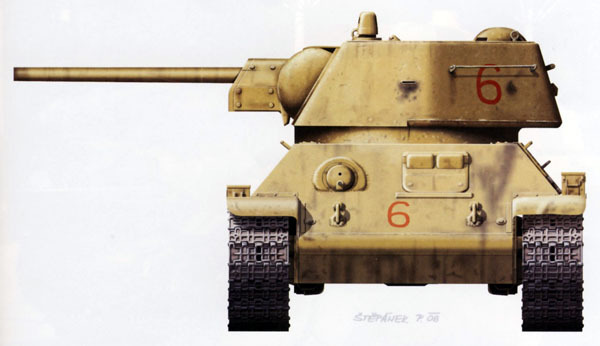 But in the magazine this T-34 attribute to germans Emil Seibold tanks ace from 3 SS Pz.Abt. 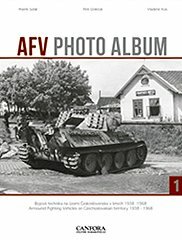 2 SS Panzer Division "Das Reich". This T-34 probably belonged 128 Pz.Jg.Abt 23 Pz.Div. Romania, Summer, 1944. 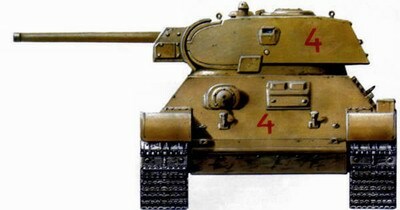 Germans captured T-34/76 mod.1943. 10 May 1945, Trnove Sviny. T-34 from training ground Waffen-SS Bohmen (SS-Truppen bungsplatz Beneschau) near Benesov in Czech republic. May, 1943.